Sometimes our Macs behave in strange ways. We think of and use our Apple Computers as if they’re stable and perfect until they fail. Then all hell breaks loose. What can we do to get that machine back to its beautiful normal? Recently, I’ve had some major problems with my Mac. Even though I can log in, none of my applications will launch. On top of that, the computer is sluggish and not useable. At times, I get the spinning beach ball for what seems like forever. Do you relate? When trouble strikes, it’s often your user account settings causing the problems. In my case, it turns out that my issues are indeed related to my user account. It somehow got corrupted. And no, I didn’t DO anything—really, I didn’t. These times of crisis are reality checks. Nothing, even Apple Products are perfect all the time. So, if something happens, don’t panic. There are a few things we can do to fix the problem. Try them out and let us know if something works or if you have other ideas. 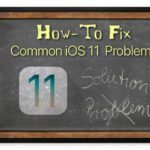 Help is ALWAYS welcome here at Apple ToolBox. 2 Changed the permissions of items in your home folder? 6 Terminal Commands Not Working in macOS Mojave? Seeing Operation Not Permitted? 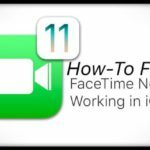 10 There’s An App for That! Changed the permissions of items in your home folder? Sometimes, when you change the read or write permissions of items within your home folder, you also need to reset its permissions. This situation is especially true if you use the keystroke Command+I (or any other method to Get Info) to change those permissions. If you see any of these errors, resetting your home folder permissions often solves the problem. Readers report this works for all macOS versions (including Mojave & High Sierra/Sierra) and most Mac OS X versions. Just remember to RESET YOUR HOME FOLDER PERMISSIONS. Okay, this is something I should have done but didn’t. Lesson learned. So for all you who are superb iFolks, this is for you. Before anything happens, create another account with administrator access. 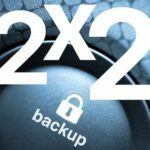 Be prepared with another way to get into your Mac that doesn’t involve reformatting the hard drive and losing everything. 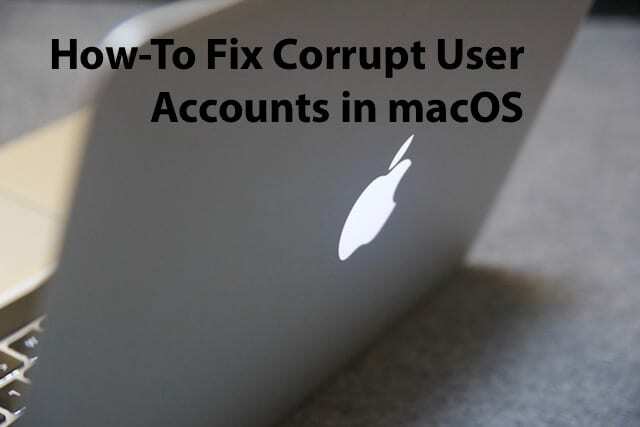 If your issue(s) doesn’t happen in a different user account, then it’s likely that both macOS and your installed apps are working correctly. So when you are logged in to your usual user account applications exhibit unexpected behavior(s) such as it doesn’t start, it executes commands incorrectly, it returns errors, or it quits unexpectedly. BUT, when you log into a different user account, you see that these issues don’t occur. The verdict: The issue(s) is consequently related to your specific user settings or files. So it’s time to do some trial and error to figure out what’s going on with your user account. Starting with El Capitan, Apple removed from Disk Utility verify and repair permissions buttons. Apple claims that all system file permissions are now automatically protected and updated during software updating. But of course, there’s always a means to an end. Unfortunately, the workaround to repair disk permissions and ACLs no longer works in macOS Sierra. 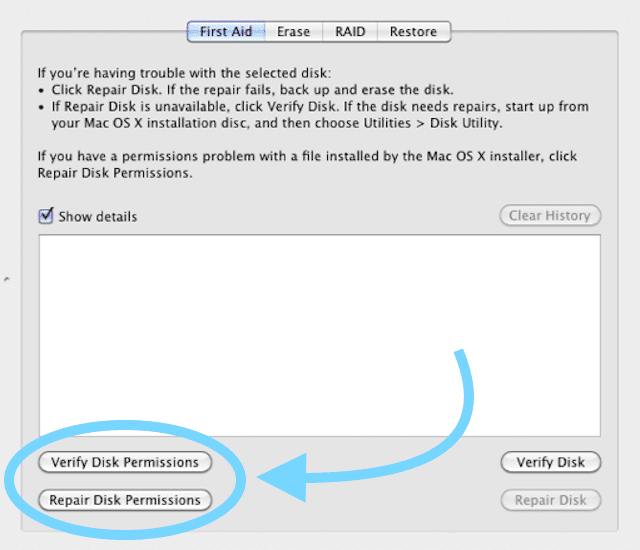 According to Apple, manual disk permission repair isn’t necessary anymore. macOS Mojave, High Sierra, and Sierra (and Mac OS X El Capitan) repair file permissions automatically during software updates. Improved file integrity starting with El Capitan and expanded in macOS Sierra, apparently makes manual disk permissions obsolete. If you believe your user account problems do indeed stem from disk permission problems, the best option currently available for macOS Mojave, High Sierra, or Sierra is to update your OS if an upgrade is available. If no update is available, try the tips listed below. 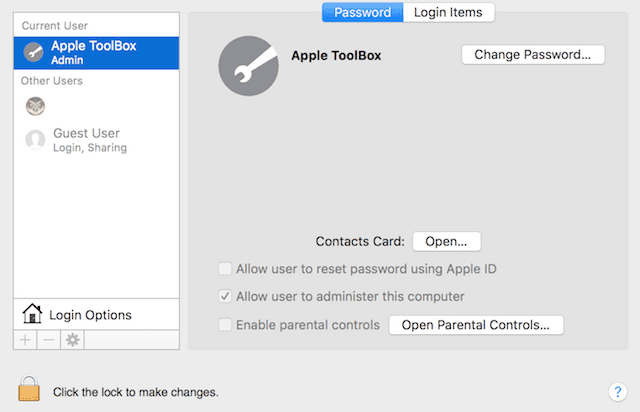 For MacOS, this is the terminal command that repairs user permissions as outlined in these Apple Support Notes on how-to resolve issues caused by changing the permissions of items in your home folder. Terminal Commands Not Working in macOS Mojave? Seeing Operation Not Permitted? If Terminal is not accepting your commands when working with macOS Mojave, you likely need to give Terminal Full Disk Access. If you feel comfortable, try using a command line in Terminal. 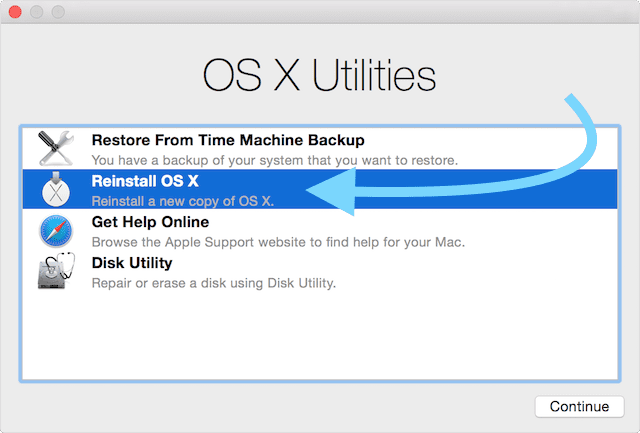 Some readers report this works for them–particularly for folks still running Mac OS X. This command opens up a window similar to reset the permissions on user accounts. 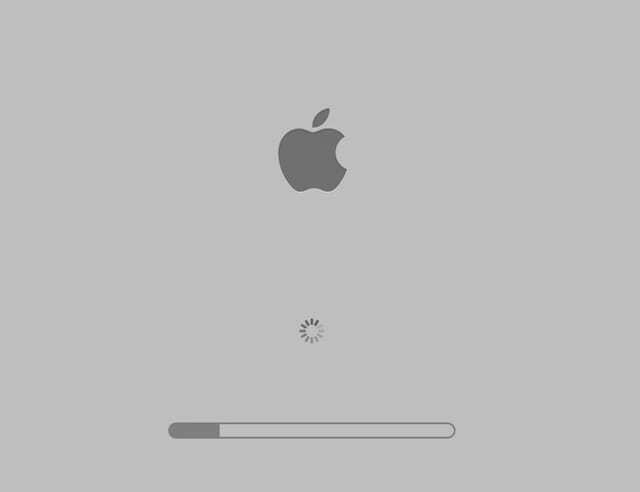 If you don’t have a spare admin account, let’s try rebooting your Mac in Safe Mode. We’ll then remove some of your cache files that may be the source of the problem. Totally removing the cache is not recommended so save a backup of all the cache files before deleting them. If something happens, you can restore the old files using the backup. Move those preference files one by one somewhere else, preferably in a folder marked OLD Preferences. Restart your computer each time and see if the user account is fixed. Yes, I did warn you about the deadly part of this solution. Yes, of course, there is an app for almost everything including repairing permissions. InsanelyMac offers a RepairPermission app and a Disk Utility app that do the work for you. Kext Utility for Mac provides similar services, including repairing permissions for all system folders and rebuilding system caches. System Integrity Protection (SIP) was introduced in El Capitan and is called a rootless mode. 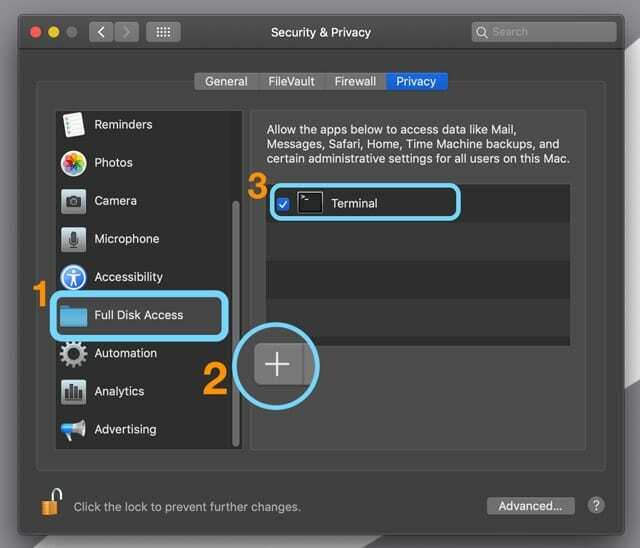 It provides more security to your Mac and prevents malware from modifying system files and directories. 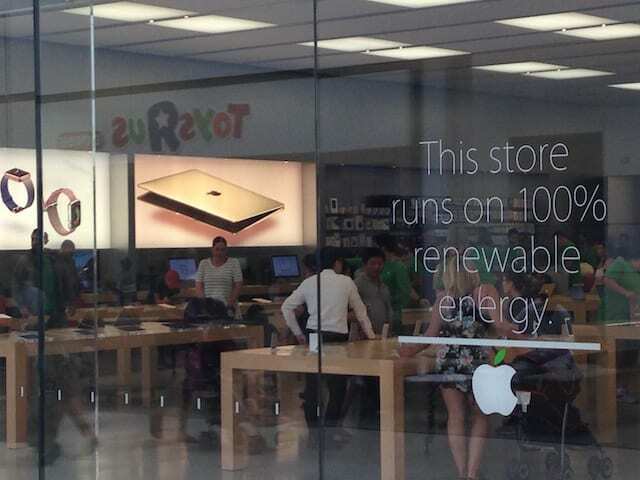 If your computer is still under your AppleCare agreement, the time has come to call or take the computer to the Apple Stores. Let the Geniuses take a look at it; you paid for this after all! If you paid with a credit card, then the card company may cover it. Check your credit card rules to see if you qualify for protection. For your worst-case scenario, we hold no stops. We will use the Recovery Partition. Just make sure you connect to the Internet via WiFi or Ethernet cable. Select reinstall macOS or OS X and follow the instructions. Thank you!! 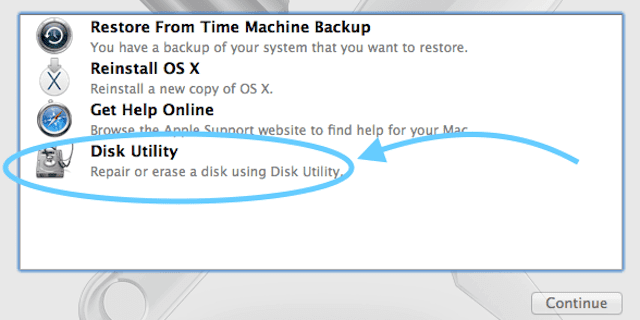 This information saved me from trashing a 5 year old iMac that I thought developed a faulty hard drive or memory. – As a last ditch effort, I first attempted to create a 2nd admin account with the intention of wiping sensitive info from the main admin account. What a surprise when my computer came back to life under the new user account. That led me to search to see if it was a known issue, and that led me here. I migrated from an old MacBook pro to a new one running macOS Mojave. I had what appeared to be permissions problems and I could not create a second admin account due to permissions on the user folder. Thanks to your comment regarding the OS repairing itself on an update, I tried to update. Luckily one existed; I updated and it repaired the problem. My mac did behave so strange, I thought it was broken. After Creating a new User Account with Admin rights everything worked superbly!!!! I can’t say how Grateful I am for your hint! I have been able to fix an issue with Adobe Animate not saving FLA files and a whole bunch of other issues that appeared out of nowhere on my mac by following your guide. What version of Mac OS X or macOS do you use? 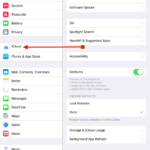 Check out this Apple support article on resolving permissions in the home folders for more info. Huge huge thanks!! Command Line stuff worked on High Sierra, otherwise all my files were inaccessible!! This was of great help, thank you very much. I received messages about iCloud settings, Firefox profile has gone missing, Illustrator crashing at the start every single time, Mail not saving messages, etc. I previously restored from Time Machine, but the issues came back. This latest issue came back just a day after a restore, so I was about to break every single breakable in the house, haha! I performed the home permissions fix and Terminal command permissions fix. I’m on High Sierra. Thanks for letting us know. That’s awesome. And so glad you didn’t break the house down–but we’ve all been there at some time or another. You are a legend Elizabeth!! Life is back to normal again! 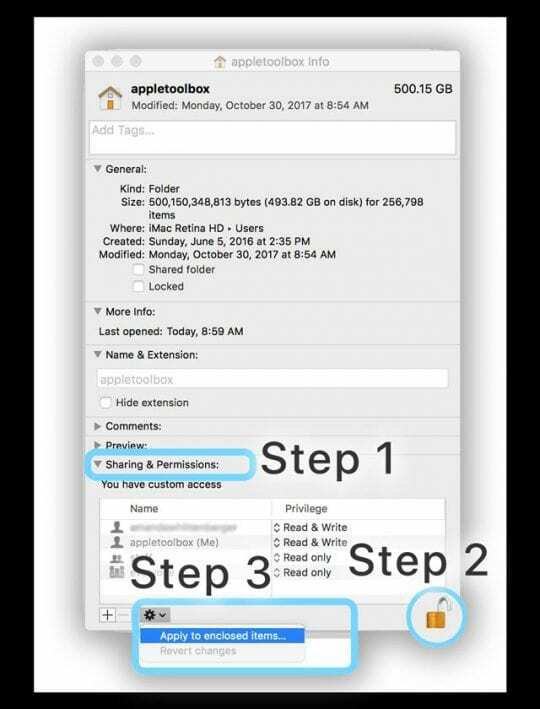 This worked perfectly (I’m on High Sierra, so the permissions repair wasn’t available in most of the usual places. Thank you for this! It started shutting down and restarting randomly a couple days ago, but would start back up and work fine. Then last night it happened again but this time on reboot I was greeted with a blinking grey folder icon with a question mark. I’ve been trying to figure it out all day without much success. 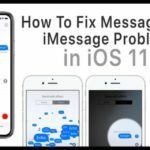 At first I thought it was my iCloud causing the problem, since when I logged on I kept seeing an iMessage error popup but none of the buttons were responsive and couldn’t access system preferences. I’ve managed to login to my guest user account for now and set it up as admin, but still unable to access my main user account. Also tried Safe Reboot with no luck. Also tried logging out of all iCloud accounts and changing the password. Any clue what to do?? Sorry to hear about your iMac’s woes! Let’s try to reset your iMac’s System Management Controller (SMC for short)! Shut down your iMac, then turn it on and immediately press and hold these four keys together: Option, Command, P, and R. Release the keys after about 20 seconds( right after the second startup chime–if your iMac model chimes). Once restarted, open your System Preferences to adjust any settings that reset, like volume, screen resolution, startup disk selection, and your time zone. 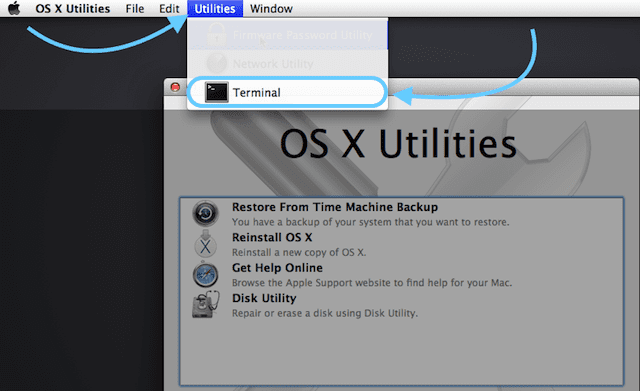 If none of these helps, try rebooting and hold down the OPTION key–this opens up your iMac’s Startup Manager. Locate your main HD and select it and click the arrow below or press return. 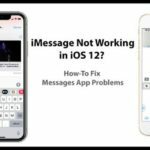 Finally, if you’re still not in luck, run Apple Diagnostics or Hardware Tests to identify problems. Remove all connected devices except your keyboard and mouse, and Ethernet (if using that.) Reboot again, this time holding down the D key. This command runs through a series of tests on your Mac and then shows you results as well as actionable next steps. Follow the directions on-screen. Hope something helps with your iMac–let us know. I have a 2011 macbook air on Sierra. In the admin account it says it got full wifi and connected but when opening a browser states no internet connection but imessage works. In guest account wifi and browsing works fine. this is after a complete hard drive wipe and os reinstall from apple store, they said must be hardware issue. looking for help as it seems like a software issue and i don’t want to buy new one at this point. Sorry to hear about your WiFi issues with your Mac. Have you tried forgetting all WiFi networks in your Admin account then adding in again? Forgetting wireless networks allow your computer to reset some settings, such as usernames, passwords, or configurations that may allow you to reconnect again. Hopefully that does the trick! If not, let us know. I am on Sierra. The problems I’m having seem relevant to this article, but none of this worked. Mostly because my lack of permissions prevents me from doing anything AS THE USER whose account is corrupted. And because many nice features have been disabled in Sierra. Really thanks for this detailed an useful brief. Thank you the first step for mac os sierra/high sierra seems to have solved my problem.REST HOME FOLDER PERMISSIONS. Awesome Mike. Yippee! Thanks for letting us know. 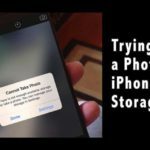 I suffered from that iCloud password loop on my iMac/ EL Cap for weeks until I stumbled upon this article! I bit ago I did change folder permissions between users, moved files, then deleted an extra user which I think screwed up my system even more. Everything above “Tap More into Terminal” did the trick.. I can’t thank you enough, it was driving me batty! Thank you! Yippee!!! We are so glad it the tips helped out–permissions are indeed such a pain–and often drive me batty too. I recently upgraded to Sierra, now running 10.12.6. The install process created another startup folder with all the attendant folders; Applications, Library, System and Users. I don’t seem to be having any problems, all apps installed are working normally, but I’ve never encountered a situation like this. Yup, Mac weirdness indeed! Is that new startup folder labeled any differently? Is it more like the update cloned the startup folder? I would worry if you have two startup folders that are the exact same in every way—though problems aren’t seen now, there could be down the road. Keep us updated and we’ll look out for any similar Mac user reports on this odd behavior. I’ve made a classic error. I installed an SSD in Macbook Pro which I dropped High Sierra on, so on first start-up I transferred the user from my old HDD. All good. I realised what I had done and tried to create another admin account whilst I could, but it didn’t work. I quickly backed up to Time Machine and copied my precious folders to an older G5 with 4HDD slots (thank God!). 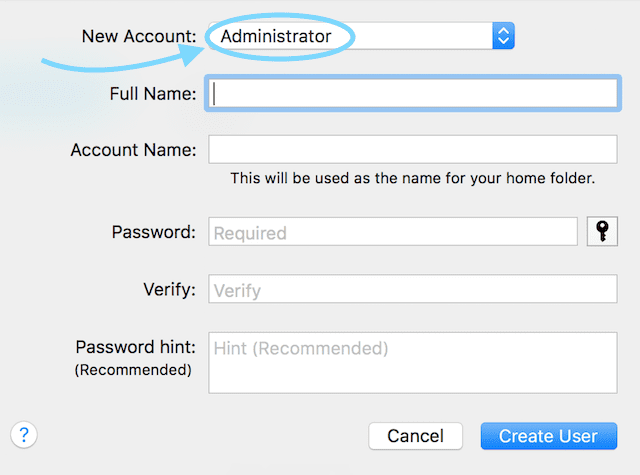 The issue I now have is creating an admin account on a mac without an admin user to ‘approve’ the creation! I have tried a couple of command lines to trick the Mac, believing it’s a first run – that didn’t work. I’m now creating a bootable drive so hopefully I can start-up from that in an effort to erase the SSD and start again. If you know a quick fix, it would be appreciated… but I’m guessing this is a grin and bear it moment where I hold up my hands and say ‘oops’. We don’t know of any quick fix on this one. I’m surprised it let you leave your user status as blank! Anyway, your course of action seems right on target, though time-consuming! Ok HELP!! This is going to be long. My mac went crappy might be the hard drive, I had a back up with time machine on a 1 TB drive. So I restored my drive but I used the wrong account! Not Apple ID, but account in my Mac. It was from when I first bought my Mac and transfer the data from an airbook, but I don’t use that account. I went through the restore process and it downloaded and found my two accounts on my Mac, but I uncheck the wrong one. So now my Mac is useless to me because I NEED everything on the other account, including bookmarks thousands of them! Tons of apps and software I paid for also! It’s all still on the original 500 GB drive, plus on a different partition on the 1 TB in my Mac, but how do I recover my other account? I’ve tried recovery a second time and it did not ask which account I wanted to restore like it did the first time! Yes I should have transferred it all, now I’m screwed! Please help!!! Have you tried using Migration Assistant to restore that old user account? so I have this problem of applications working on one admin account but not the other (which I just created) I am unsure of how to back up my whole entire computer to uninstall and reinstall Sierra as I do not have an external HD. I have never used time machine and I don’t know how I would set it up, do I need an external HD for that? I need to fix this issue but I don’t have a ton of extra money to dump into a tech call to support, but I could probably do more cloud storage? someone please help I am tech-tarred and I need a step by step instruction of how to fix this so I don’t lose all my pictures, movies and music. It’s best to use Time Machine with an external drive. You can actually get them fairly inexpensively these days, even at your local electronics shop or via Amazon. However, we might be able to solve your problems by moving some applications from user folders. Since you have two admin accounts, you may have installed Applications within a user folder rather than the Main Applications folder. Open your Macintosh HD and look in each of your user folders for the folder Applications. If an application is listed in only one folder, it may not work within another. The easiest way to fix this is to move the applications you want to use on both accounts to the Main Applications folder. Log in separately to each admin account and then move the applications that are in User folders to the Main Applications folder. Alternatively, reinstall all the applications that appear in your User folder but this time select the Main Applications folder as the destination. Well at least this has helped me figure out where my problem is in Safari, thank you. I have El Capitan and when I got to Terminal and type in Reset password the reset menu appears but it doesn’t list a HD or any other disk??? Unfortunately, I can’t go anywhere from that point. My current problem sounds similar but it’s only related to the current update of Sierra 10.12.1. If I update, I can’t open any Apps that are part of the OS, or at least the ones I tried. 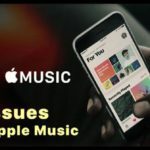 Safari doesn’t open, Settings and iTunes. I was able to revert the problem by “downgrading” with TimeMachine, still using Sierra but without the latest update. As soon as the update is done, the problems come back. I even tried reinstalling but that didn’t help either, only the backup fixed the issue. I noticed a problem with AFD too. My iTunes library is located on a network drive and my Mac somehow looses connection without actually disconnecting. It just can’t see the contents anymore. I switched over to a “Microsoft-Network” for now, that seems to help at the moment. If has been working like a charm for so long and now this is happing out of the blue. It’s frustrating. English is not my first language, so I hope the description is not too confusing. Your English is great, and I’m sorry you are experiencing this problem. It sounds like you have a corrupt OS installation and need to reinstall in Recovery mode. And of course back up all data first–which you appear to do via Time Machine! That’s great. My first thought is to to sign out of iCloud on all programs and in System Preferences (if you are able to get into these). This includes iTunes, App Store, Messages, FaceTime, etc. Try signing out of iCloud and all associated apps before you update to the latest version of macOS Sierra. And then reinstall in Recovery Mode. Alternatively, hold off on updating macOS Sierra until the next update. I’ll keep looking into this issue and update you if we find out more information or hear from others experiencing similar issues. What a pain!!! It must feel so frustrating, and I am sorry for that. Someone at Apple needs to realize that corruption occurs in preference files, and that users will need to reset them, even with the new ‘protection’ scheme (which doesn’t work, experience talking here). Eliminating a tool which still works, is a good reason for wiping Sierra and going back to older OS iterations. 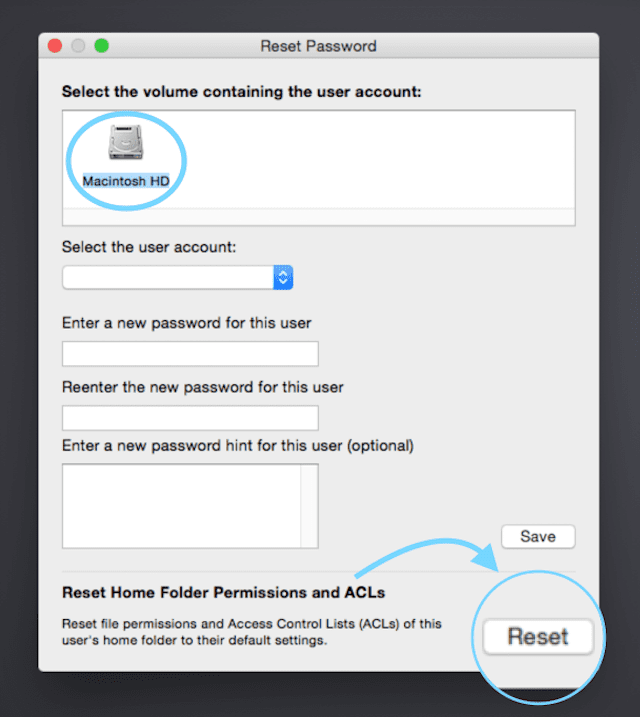 Unfortunately in macOS 10.12 – Sierra – the reset home folder permissions and ACLs option has been deprecated. I truly believe in you but I just dont feel able nor willing to try this. I hope I never get there but if I do I will prefer calling in a professional. But many thanks for other Tool box fixes. Many were helpful. Please keep them coming my way.